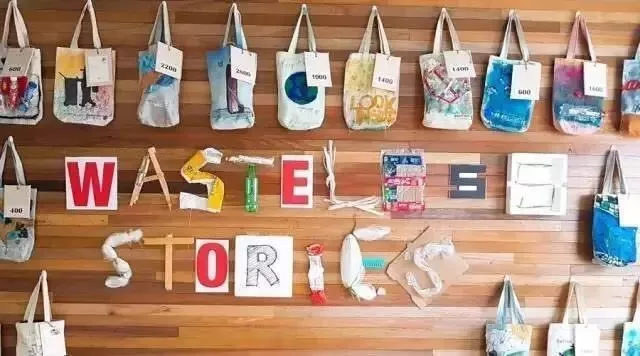 Beijing’s first Zero Waste Festival (ZWF) is coming! Presented by Beijing’s leading sustainable lifestyle brand Farm to Neighbors (F2N) Market, the festival will take place on Sunday, November 26 at The Grand Summit B1 floor in Liangmaqiao. Bring your own bags and containers to come shopping at F2N Market, and get numerous discounts and rewards from their vendors, including local farms, artisanal food, and crafts. Some of the products at the Zero Waste Market. They will collect and recycle things that are deemed as “waste” in your home and make them useful again! TerraCycle collects all the empty shampoo, detergent, and toothpaste bottles and makes new products with innovative technology. Beijing Quilts will be launching a new community-quilting project with your donated old fabrics. Bamboo bike equipment exhibition presented by Bamboo Bicycles Beijing (BBB), the first DIY bamboo bike workshop in China, as well as an eco-friendly artistic bags exhibition presented by Go Zero Waste, a platform concerned about environmental issues. Environmental protection organization, Friends of Nature, will give a first-hand experience talk about FUJI ROCK – the cleanest rock festival on the planet. Followed by a panel discussion about “Consuming, Living and Eating in Zero Waste Style” presented by Go Zero Waste, Eco House, Veg Planet and Terracycle. Kids-friendly workshops that teach how to make musical instruments, wallets and bookmark out of recycled items, and a home composting demo brought to you by The Bulk House. Hope International School will present an amazing Christmas musical performance. You will experience a variety of musical styles all the way from George Frideric Handel to Ella Fitzgerald performed by HIS Music Department’s student orchestra, jazz ensemble and choir team to get you into the holiday spirit. Check out the website to fill in the registration form, and please contact WeChat Farmtoneighbors for more information.